Our air conditioning needs are usually something we don't think about much. We simply flip the switch on our thermostat when we want it cooler or warmer in our house. But when it doesn't work properly, it can make our lives seem frustrating. Let Equal Air Heating and Cooling take the frustration out of your next repair and/or maintenance job. Our customer service is second to none. Our technicians are on time and the friendliest you'll find here in Lomita, CA. You can trust Equal Air! We're big enough to serve you, but small enough to care! We know the strain of the cost to repair a heating and air unit can be stressful. That's why we offer some of the most competitive pricing around. We will beat the competition! Our technicians combined have over 35 years of experience giving them the expertise and knowledge to properly diagnose the problem and fix it the first time. We're a Heating and Air Conditioning company offering repairs, installations and maintenance contracts. We repair every make and model of heating and air conditioning unit. No matter what the issue our expert technicians will properly diagnose it, give you an estimate on time and cost before we fix anything. Our prices are competitive and we have the knowledge to do the job right, the first time! Clothes dryers account for 92% of all household fires. We have the solution! Equal Air Services offers a service that very few companies in Wilson or the surrounding areas offer. We clean out your whole dryer vent system, from the vent port on your dryer all the way to the exhaust vent on your home. Don't wait until the hottest part of the summer only to realize your unit isn't cooling like it used to. Prevent many of these problems by getting a Yearly Maintenance Agreement. We'll come out twice a year, run diagnostics, clean your coils and perform many other preventative measures. This service is vital to preventing many of the common repair issues on heating and air systems. When we think of a heating and air conditioning system we usually think about how well our units heat and keep our homes cool, but they also can regulate or impact the quality of the air we breathe. This is very important, because the air in our homes, schools and offices can be 2 to 5 times more polluted, and in some cases 100 times more polluted, than outdoor air. Performance Heating and Cooling can help you improve the quality of air you and your family breathe! We're large enough to serve you, but we're small enough to care. Equal Air Heating and Cooling has serviced multiple businesses both large and small in Lomita, CA and the surrounding areas. We offer the kind of service that businesses can appreciate. Fast, convenient and very reliable. 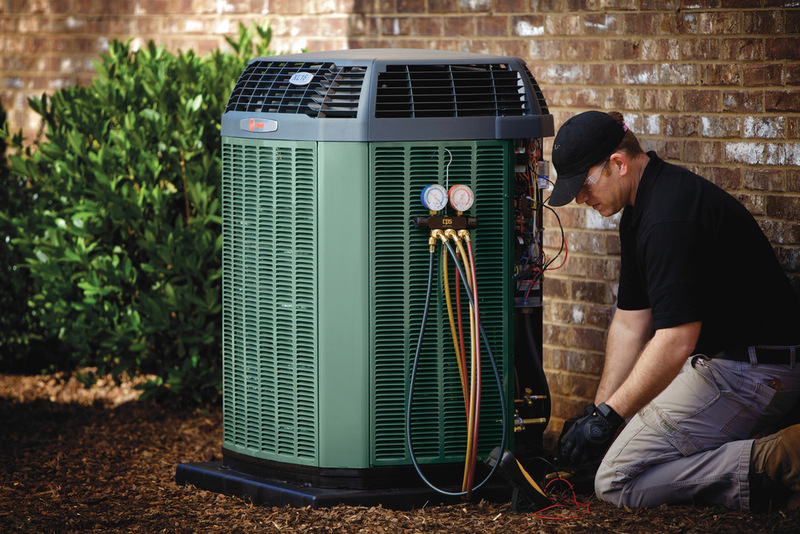 If your business is in need of a heating and air conditioning service company or you would like to set up a yearly contract agreement, give us a call! My passion is the heating and air conditioning industry. It's been that way since I started in 1965 in Wilson, North Carolina. I've got the experience to do the job right the first time. Exceeding my customers needs and seeing the relief on their face when their system is repaired and operating properly and efficiently is what drives me. I would love to help you have that same relief, so give us a call. Equal Air Services will meet and exceed your expectations! Equal Air is a disabled veteran owned business and DVBE Certified.